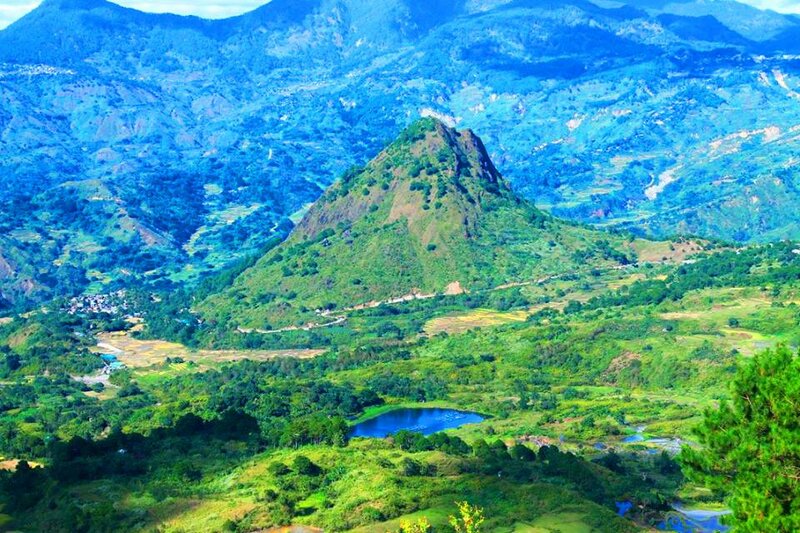 Tadian in Mountain Province remains lesser known when it comes to tourism. Unknown to many, however, Tadian hosts fascinating tourist spots. From cascading waterfalls, scenic mountains views, healing springs, serene lakes to mystic caves, Tadian deserves a spot in the growing ecotourism world. A partial view of the landscapes of Tadian and some of its barangays. There is no direct transportation bound from Manila to Tadian. Baguio City and Bontoc are the primary jump-off points. That means, you need to get to these areas before you can access trips to Tadian. Baguio to Tadian. You have two options. First, ride the Rising Sun Bus stationed at Slaughter House Compound, lower Magsaysay. There is only one trip and this leaves at 10:30 am. The second option is to take A Trans Bus. This is stationed at Dangwa Station, back of Center Mall. It has four trips which depart at 8:00 am, 9:00 am, 11:00 am, and 1:00 pm respectively. All buses proceed straight to Poblacion, Tadian. Poblacion is the municipal center. Bontoc to Tadian. There are regular van departures from Bontoc to Tadian. These are stationed beside Walter Clapp Centrum, Lower Loc-ong. Time of departures starts from 9:30 am to 5:00 pm. A van leaves as soon as it is filled to capacity. Tadian is home to several hidden waterfalls. These are dispersed on different barangays. The most locally-known of these is Ub-ubanan falls, located in barangay Sumadel. The said barangay is a 30-minutes’ drive away from Poblacion. It is a three-layered falls, gently cascading on a sliding manner. It has naturally-built pools with icy-cold and crystal-clear waters. Take a dip on these pools and you will definitely feel rejuvenated. Another waterfall in Sumadel is Pey-asan Falls. It measures around 10 meters high and has a wide and very deep pool. It also offers an enlivening effect. The local communities protect these falls since they provide water for both their domestic and irrigation needs. 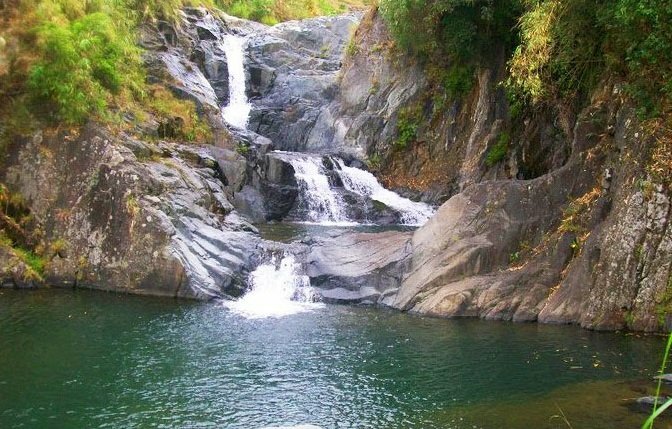 In addition, the grand Poy-asan Twin Falls is nestled at barangay Bana-ao. It measures more than 100 meters high. Another similarly towering cascade is Kaliwliwan Falls, which is just some 30 minutes of hike from the locally-famed Gawaan Lake. It has three small pools located along the stretch of the multi-tier falls. Its waters are also cold and crystal-clear, providing relief after the arduous trek of getting here. 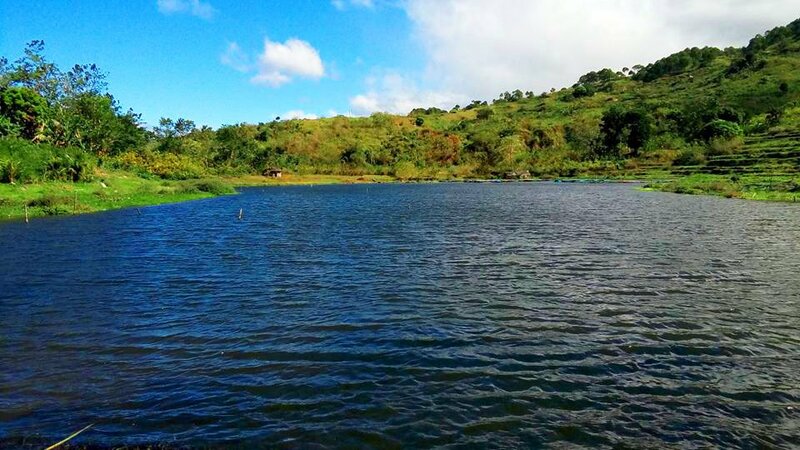 By the way, Gawaan lake is just one of the several lakes found within the municipality. It offers activities such as picnic, boating, and fishing. Among the marine species found here are clams, crabs, tilapia, and eels. It is located at barangay Bana-ao, a one-hour drive away from Poblacion. This is now one of the rising tourist spots in Tadian. Upper cascade of Kaliwliwan Falls. What Else to See in Tadian? Mt Mog-ao with Lake Gawaan on the foreground. If you are looking for a mystical encounter in Tadian, then visiting the Enchanted Eels would be a fitting choice. These sacred creatures are located at barangays Cagubatan and Lenga. According to the locals, the eels have been in their dwelling places for more than a century. They only come out for viewing with the use of a whistle or bait. The locals take care of the eels since they are believed to be connected to the spirit world. Bangcagan Healing Water is another destination in Tadian leased with mystery. It is located at barangay Kayan East, some 15-minutes’ drive away from Poblacion. The crystal-clear waters emanate from a spring. Locals claim that these waters can cleanse skin diseases. From the barangay proper, it only takes some 20 minutes of downhill hike to get here. The Burial Caves of barangays Banaao and Am-am are also interesting sights to see especially if you are a historical and cultural lover. These burial caves portray how the I-Tadian buried their dead during the olden days. 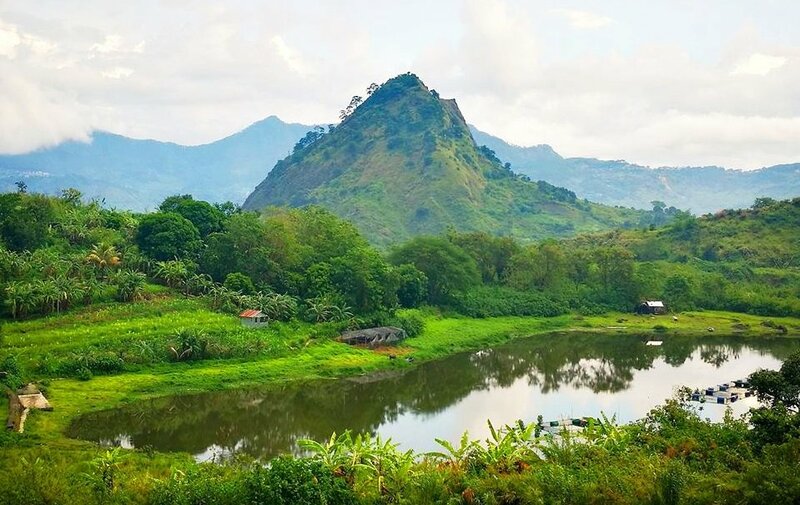 Certainly, you will be hearing a lot of myths, legends, and folklores surrounding these once you visit them. 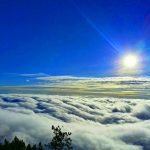 Where to Stay in Tadian, Mountain Province? The following are the main amenities for tourists/travelers as listed in the municipal tourism brochure of Tadian. You may contact the given numbers for information related to rates, number of rooms, etc. There are also existing resorts in Tadian. These are: Egan Gem Garden Resort (Poblacion); Nabaneng Resort (Lubon); and Cabunagan Resort (Cabunagan). In addition, the locally-known eateries of Tadian are Uyod’s Eatery, Filomena’s Central Point, Roadside, and Sagi’s (a snack house in Poblacion). Always coordinate and register at the Municipal Tourism Office of Tadian when planning to visit. This way, they can help arrange for your itineraries and prepare tour guides accordingly. For more information, contact Ms Lybner G. Micklay, Tourism Officer, through her no: 09215483356. You may also email the local government units at lgutadian@yahoo.com. Further, you may relay your message through their official fb page at, LGU-Tadian. Respect local culture and community protocols. In other words, refrain from utterances or acts which may be offensive to the locals. Among these include wearing of mini-shorts, or public display of affection (PDA). Further, refrain from vices such as smoking or drinking liquor. Never litter. As much as possible, take back your waste/garbage from where you bought them. Remember, tourism and solid waste management plans are not yet fully-established in Tadian. Buy supplies from local stores and enterprises so you can help boost local economy. This will also provide you the opportunity to taste the traditional products of the I-Tadian. Don’t hesitate to mingle with the locals. Most of the times, they are interested to interact but they are simply shy. So, better do the first talk or move and build rapport with them. Expect untamed trails on some tourist spots in Tadian since they are still undergoing improvements. Don’t forget to enjoy and learn from the people.